Material: PVC, S S, Metal, Metallic. Usage: School/College, Offices, Hospitals etc. We design and manufacture Name Decals for your walls. Choose any font that you'd like and we will make a custom name sticker decal just for you. 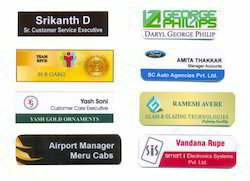 We are the leading organization actively engaged in offering Name Tag. This product is available in many of patterns that meet on client’s needs. 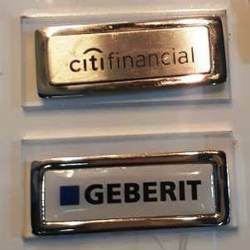 We are offering Aluminum Name Tag to our client.